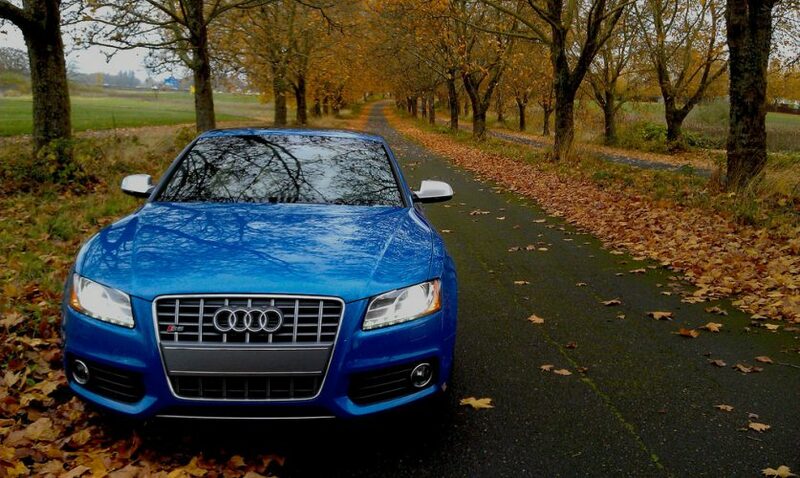 Saturday will mark the sixth anniversary of having my 2011 Sprint Blue Audi S5. It will have clocked just over 45,000 miles in that time span. Even though it may not have as many miles as a lot of other cars when they turn six years old, the S5 has seen a good amount of things. 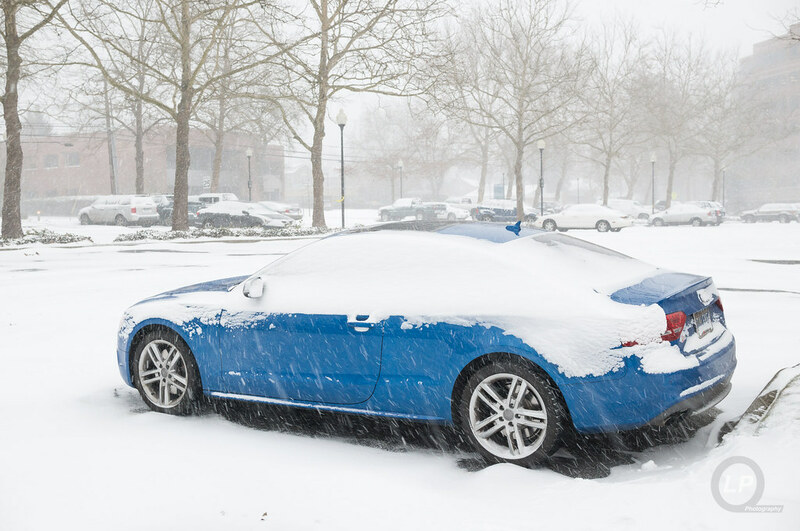 It has gone through several snow storms that have hit the Pacific Northwest, including a trek up to Seattle for an Audi Club Northwest annual dinner and dealing with very slick roads on the way up. With the combination of snow tires and quattro, it has gotten me safe to work and back; thankfully, without any bumps from other drivers that can’t cope with a few snowflakes on the ground. My S5 has also been part of a display at the Allure of the Automobile in front of the Portland Art Museum, along with a couple of other Audi S5 coupés. It was also one of the vehicles at a local car show put together by Option5. 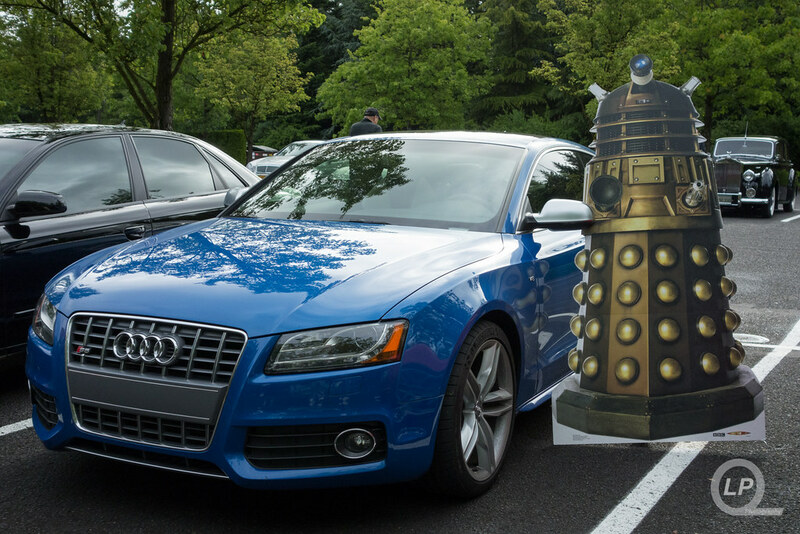 My “DALEK5” S5 has met up with a Dalek, albeit not a real one. Over the course of the six years, the S5 has been featured in a pair of Reader’s Rides articles, one posted on BoldRide.com and one, on a now defunct, “Inside Line” blog maintained by Edmunds.com. Even though the Edmuds.com’s “Inside Line” blog is no longer available, I have posted a copy of it on this site. 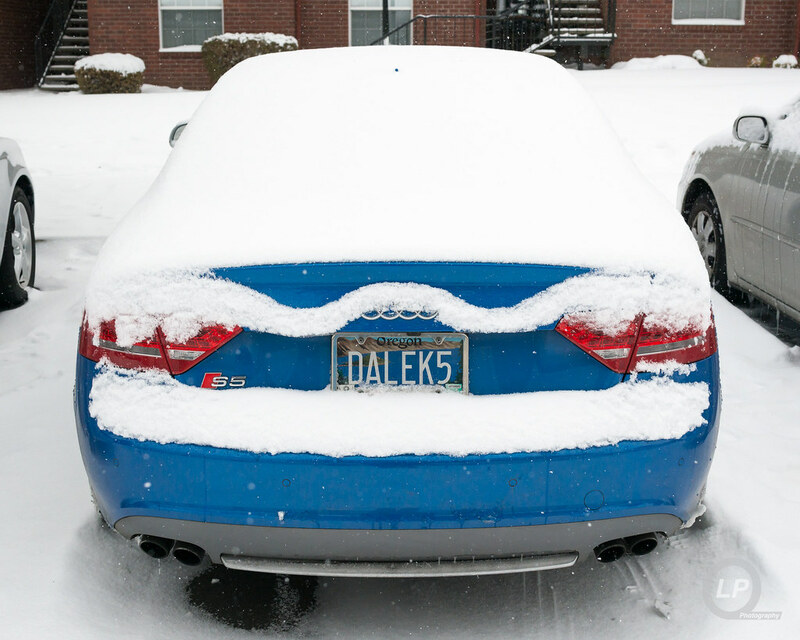 The latter was shared out to the greater social media world by the guys and gals at Audi of America social team. My S5, well, a portion of it, has also been featured in social media by Audi of America as part of a Shark Week post on Instagram back in 2012. That lead to a collaboration with Audi of America’s social media team to create a series of Shark Week-themed photos the following year. #SharkWeek: Audi Edition… Captured in the wild by @AudiForLife. 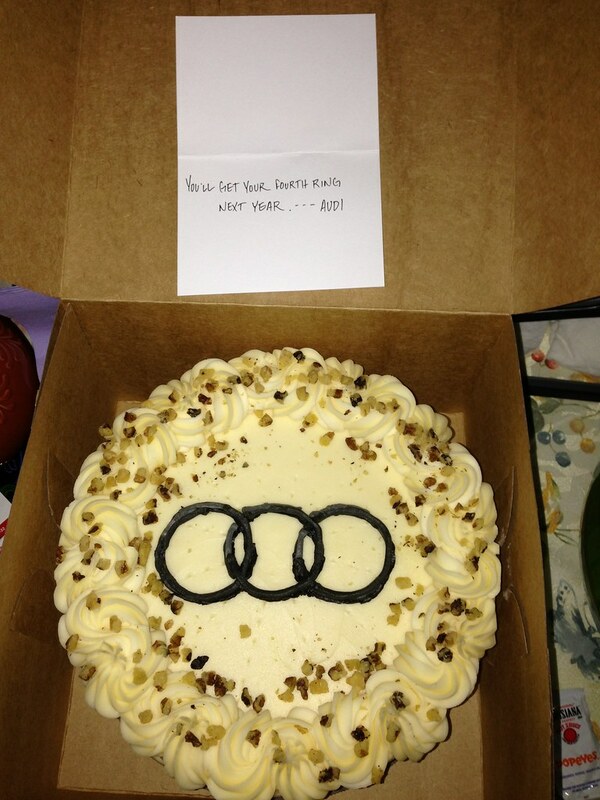 To celebrate the third anniversary of #LoveMyS5, I received a delicious cake sent over by the social media team at Audi of America. Although they did said that I would get the fourth ring the next year, it didn’t happen. That said, I think that was probably for the better in terms of my diet and all. The fourth, fifth and now sixth anniversary marks have been pretty quiet and the S5 continues to be the great grand tourer that I have always wanted it to be. Will there be a seventh anniversary of #LoveMyS5? Sadly, I don’t think there will be. With several things changing when it comes to work and the physical nature of driving a stick in the ever worsening gridlock that is Portland metro area traffic, I will be replacing my S5. I know that I will greatly miss the S5 when it’s time to hand it over to its next owner, but I have had many great memories with it.